Rekka is a 2016 Indian Tamil-language action-masala film written and directed by Rathina Shiva. 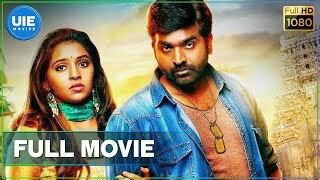 The film features Vijay Sethupathi, Lakshmi Menon and Sija Rose in the lead roles, while Sathish, K. S. Ravikumar and Sriranjani play supporting roles. The film is being produced by B.Ganesh who co-produced Orange Mittai. Featuring music composed by D.Imman and cinematography by Dinesh Krishnan.